In 1976 architect Jose Luis Moreno took a flight that would change his life. As he looked down he saw breathtakingly beautiful white sand and turquoise water on the edge of a coconut plantation surrounded by lush jungle. Moreno fell in love with what was then an unnamed bay, and bought the land from the plantation owner. In 1980 he met Sally Shaw, a visiting writer from Chicago, and invited her to his beach. 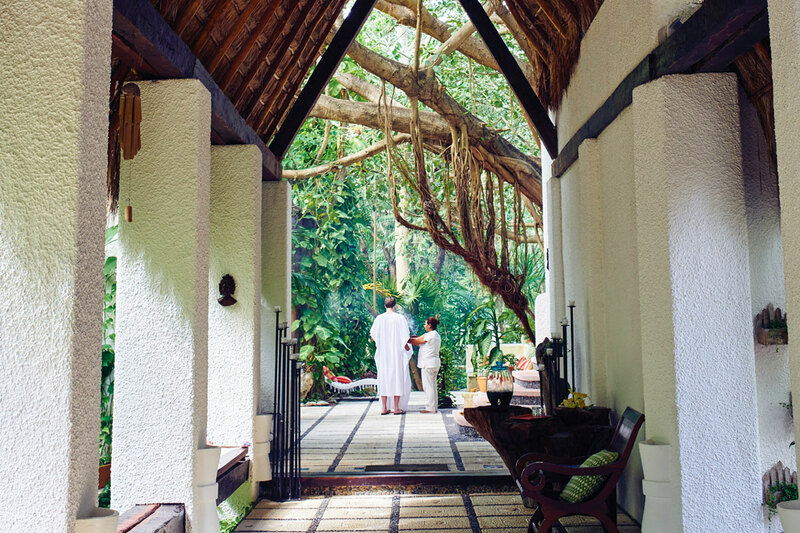 After six months of romance the couple decided to stay together forever. When Hurricane Gilbert destroyed their original one room getaway in 1988, Moreno designed a new home. Moreno worked with a family of Maya masons, true believers of the Sacred Geometry, to align the white stucco buildings with energy fields. This same family continued to work with Moreno on the new villas and spa when the couple decided to turn their home into the first luxury boutique hotel in the area. 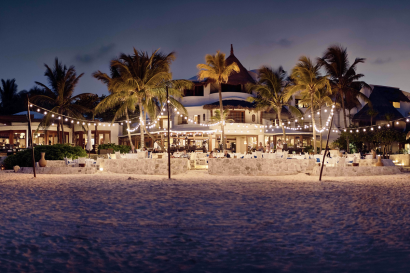 The Maroma Hotel, as it was known at the time, officially opened on Valentines Day 1995. 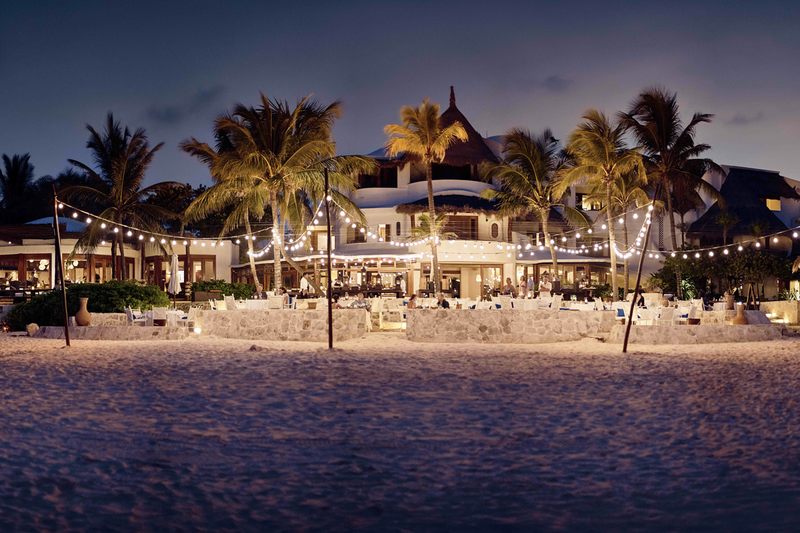 In 2002 the Morenos sold a majority stake to what was then Orient-Express Hotels and the Maroma became part of the Belmond family. The Game Center is open daily (except on Sundays) from 9 :00 – 5 :00 pm where children from 4 to 12 years old are welcome to explore their creativity and play in organized activities. There are also some other activities for teenagers and adults like Bike Tour every morning from 9 :30 am to 10 :30 am. Junior and Master Suites offer spacious living room, separate bathtub and shower, a terrace with hammock as an outdoor living offering garden/ocean views. 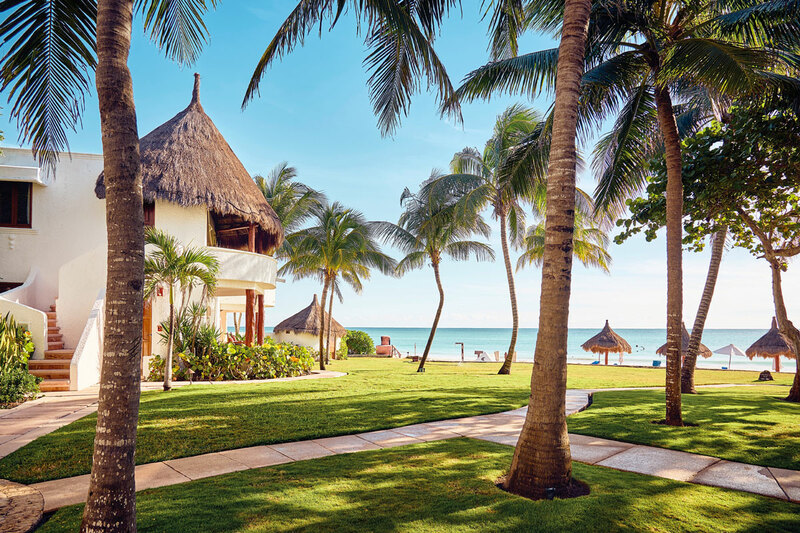 Maximum occupancy for Master Suites and Oceanfront Suites is three adults or two adults and one child 13 or older or two adults and two children under 12. 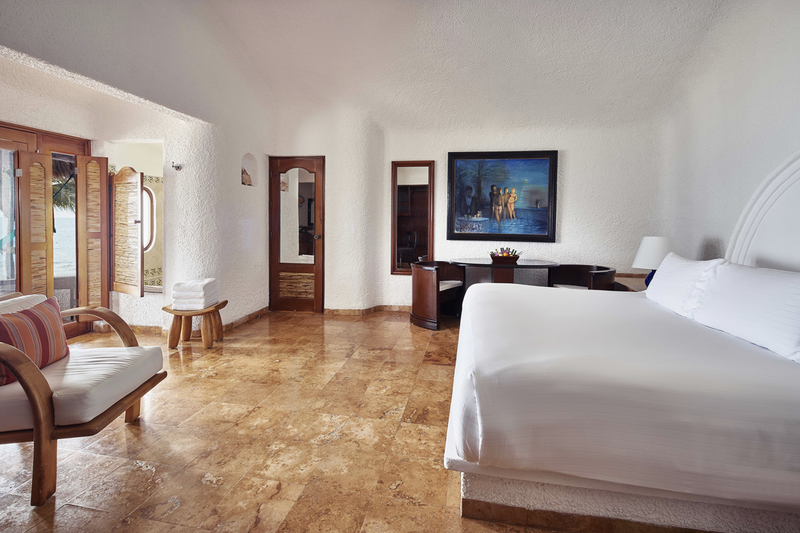 For Deluxe Rooms, maximum occupancy is two guests; adults or children. Ocean View Junior Suites (9) – 450sq.ft. (42sq.mt.) 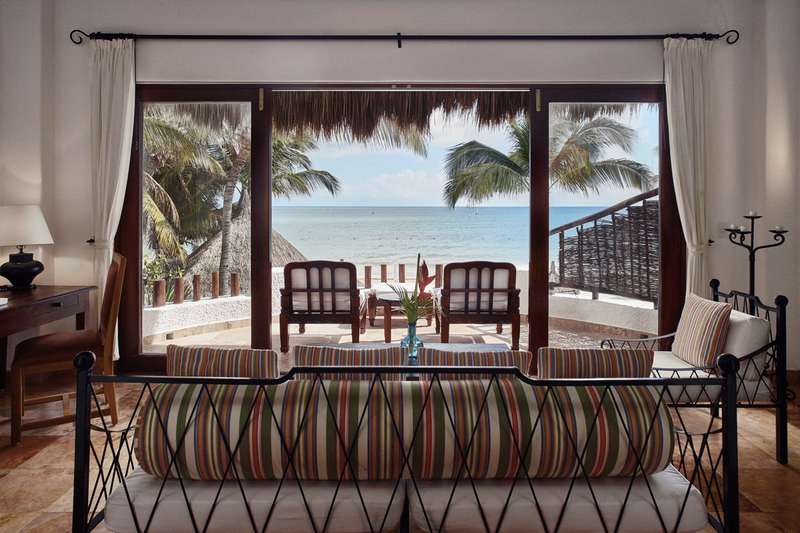 Unwind to the shimmering ocean views from this suite. King size or twin beds subject to availability. Garden View Master Suites (3) – 678sq.ft. (63sq.mt.) 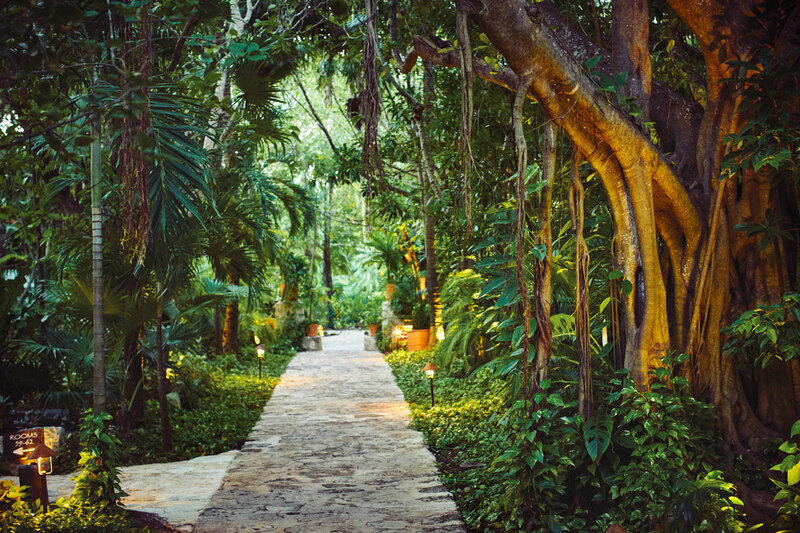 Set amongst the gardens and a few steps to the beach, enjoy pure bliss of nature. King size bed only. Ocean View Master Suites (12) – 678sq.ft. (63sq.mt.) 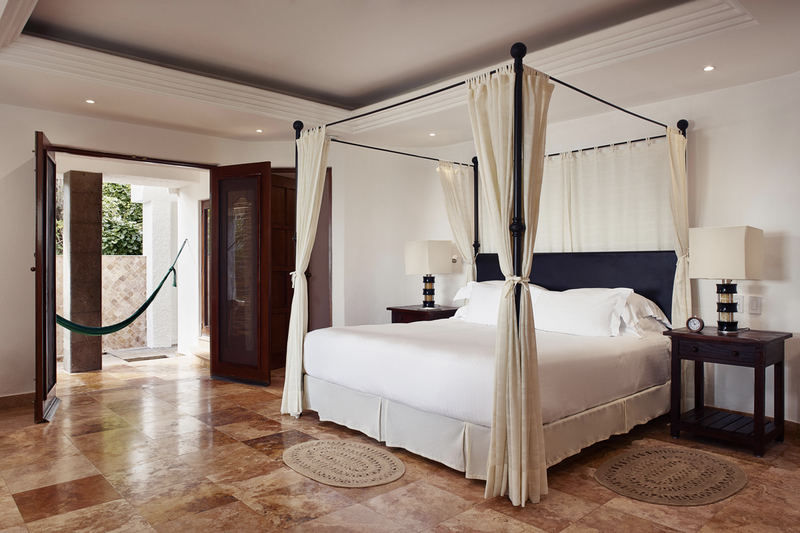 This suite affords amazing views of the ocean and gardens. King size or twin beds subject to availability. Can connect to Garden Room. 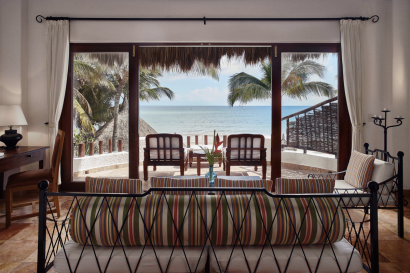 Oceanfront One-bedroom Suites (9) – 1,916sq.ft. (178sq.mt.) 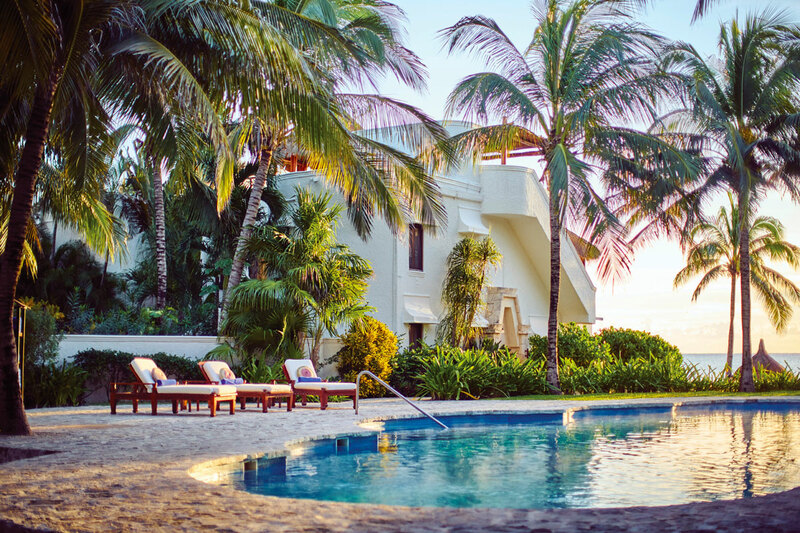 An ultra-luxurious option to enjoy a getaway in Mexico. These suites feature: king size beds, a plunge pool, a double sink and double shower. 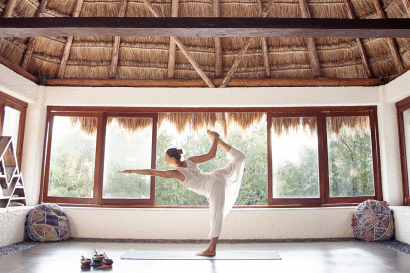 Some suites boast an a/c fitness room, making them perfect for love birds. Other suites instead, feature a separate room that can accommodate two twin-size beds, the perfect choice for a family of four. Deluxe Garden View Room (14) – 325sq.ft. (30sq.mt.) 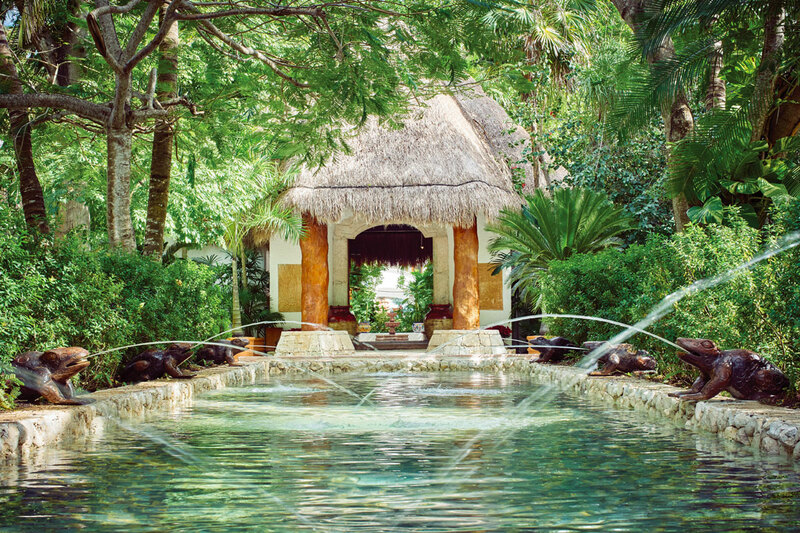 Situated near the pools and surrounded by lush tropical foliage. King size or twin beds subject to availability. Can connect to Ocean View Master Suite. Deluxe Ocean View Room (16) – 325sq.ft. (30sq.mt.) Located near the beach with stunning views of the Caribbean from the terrace. King size bed in every room. 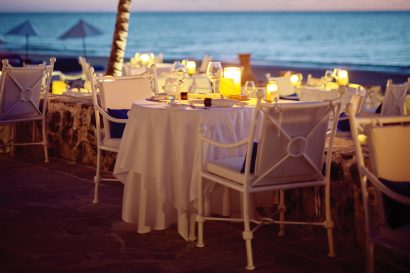 • An all-inclusive option (including beverages) for guests available at time of booking. 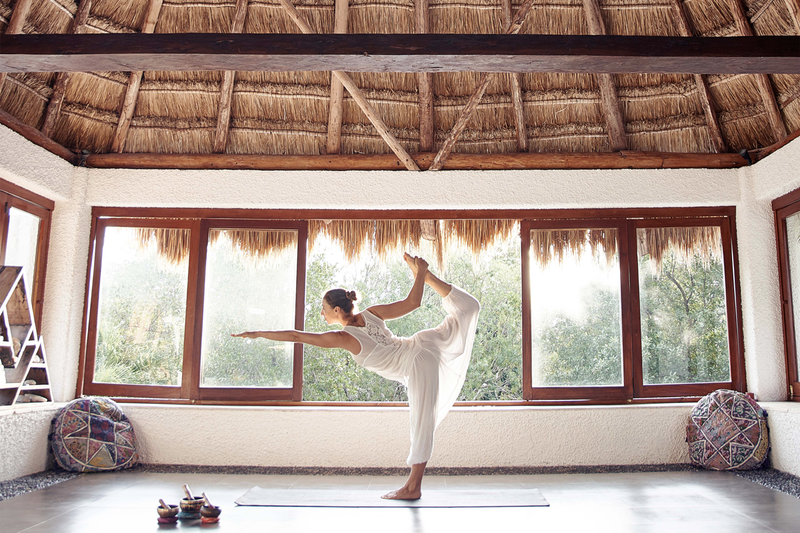 • Kinan Spa offers treatments based on ancient Mayan healing techniques, yoga, pilates, wellness and complimentary workshops. • Three outdoor pools, one exclusively for adults. • On-site Marina with complimentary use of Kayaks and Hobie cats. Also snorkeling and scuba diving with PADI certification (fee applies). 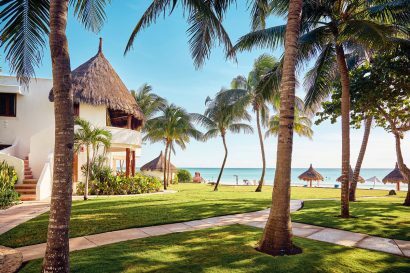 • Located on palm-fringed shores and beside lush jungle, the resort’s gardens and soft sand beach are made for magical moments. 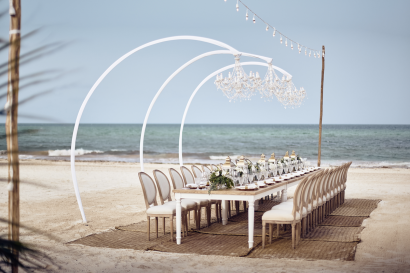 Whether professional gatherings or destination weddings, Belmond has all the ingredients to make a lasting impression. 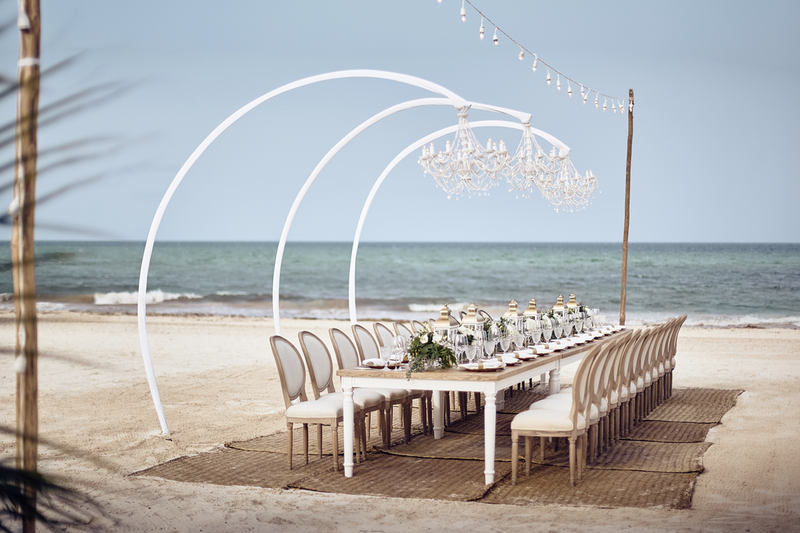 • Al fresco venues with inspiring scenarios for intimate weddings or incentive travel with capacity up to 250 guests. • Indulgent gastronomic experiences including cooking lessons, dinners on the beach, tequila tastings, and more. • For children, a game center with organized activities, spa treatment and food menu available.